I ended up taking the zipper out, three layers of stitching, but worth it. 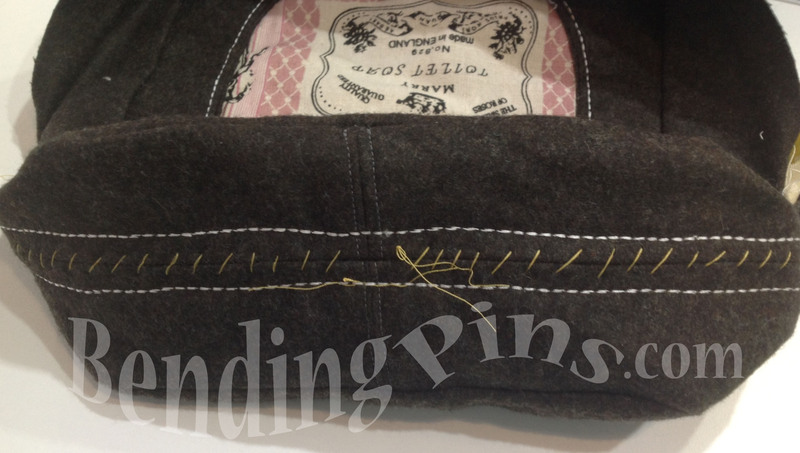 I basted the zipper in by hand then used the double stitch on either side. I’m quite happy with the results, the redo was worth it. I’m going to tack the lining to the seam allowances after I receive and attach the hardware. The straps will be attached just below the zipper on either side of the bag. I’m using a stiff(ish) thin poly in between the outside fabric and lining to help the bag keep it’s shape but it’s still flexible. I found it in the home dec area of our local Fabricland and use it in my quilted baskets as well. 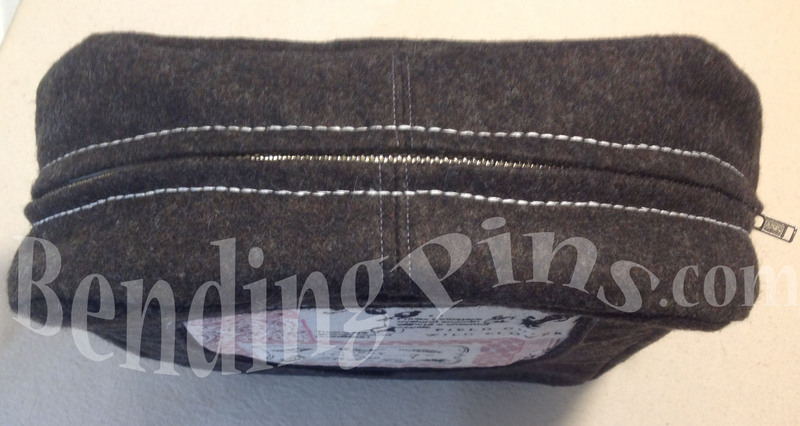 I know the photos are deceiving, this bag is actually 9 & 1/2″ tall by 8″ wide so it can fit your wallet & zippy bag! 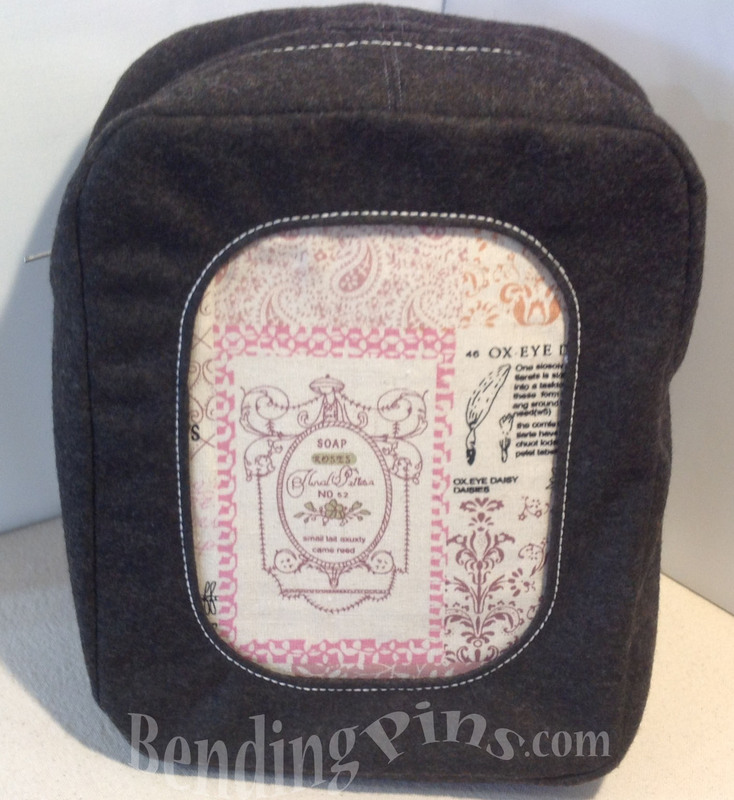 This entry was posted in Handbags and tagged double stitch, home dec, seam allowances by Tabatha. Bookmark the permalink. Thanks for that. Now I remember – look it’s been a really really long time, I used to hand baste the zipper in. My favorite saying has been I once to tried to put in a zip, couldn’t do it and I’ve never tried again. But I used to be able to put them in and now thanks to you I remember how!!! Love your bag by the way. Thanks Patti, I’m glad I could inadvertently help! I was thinking of doing a zipper tutorial but I have to finished my quilted basket tutorial first! I like your new design and your handbag is gorgeous! It looks so nice already! You did a great job with the zipper, the stitching looks awesome! You’re doing a quilted basket tutorial? Yay! But no hurry on my account, I’ve got enough projects up the ying and not enough time as it is. You too, I gather! Again, your bag is brilliant. Glad you worked out your difficulties and carried on. It looks great. 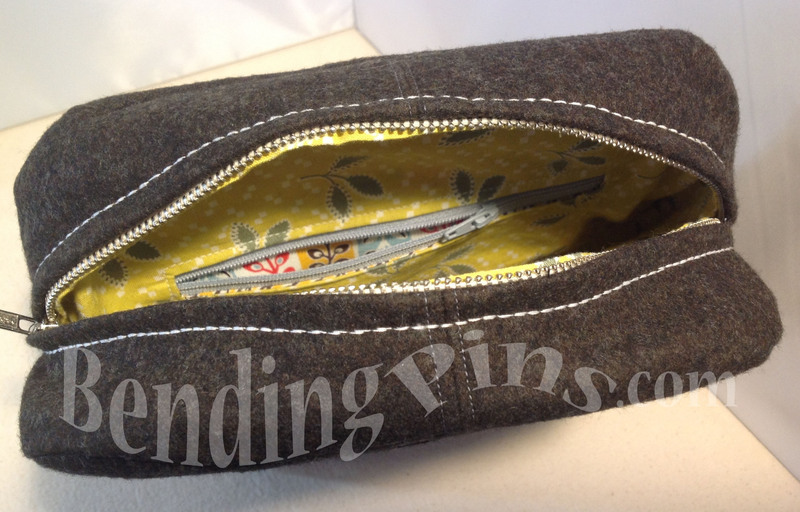 Great little bag…I like how you finished it up.Visiting from WIP Wednesday. Have a great day. very nice bag. I have only done a few zippers and try to avoid them. Great bag, lots of attention to the details!